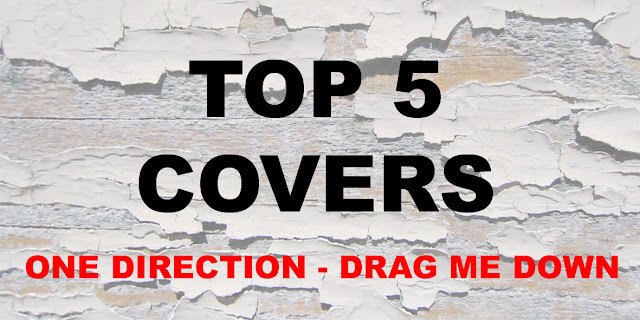 When One Direction suddenly dropped their new single Drag Me Down, their first without Zayn Malik, the world went crazy for it. With covers still being uploaded daily, we trawled the internet to find only the very best. 1. As a former contestent on The Voice, it's no surprise Stephen Cornwell's acoustic version of the song makes our Top 5. 2. We're absolutely loving this piano/cello rendition of the track from the Brooklyn Duo. Whoever said music required lyrics to be beautiful? They lied! 3. Philadelphia-based singer Mackenzie Johnson does an incredible cover, mashing up the song with Taylor Swift's Trouble. 4. Matt DeFreitas (RollUpHills) of Cahoots also puts his acoustic spin on Drag Me Down. Is it better than the original? Decide for yourself! 5. Slowing it down a little, we adore this cover by the wonderful American talent Alice Kristiansen.